Colonists began using slaves from Africa in the early 1600s. In time, many areas became dependent on slave workers, and slaves soon outnumbered the European colonists. Each colony had its own slavery code. A slavery code was made up of laws that controlled the activities of slaves, such as where slaves could go and whose permission they needed. This booklet describes the lives of slaves in the colonies. Easy reading for young readers. 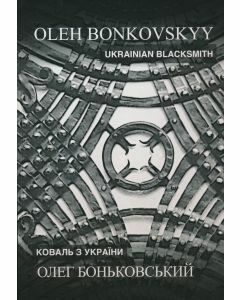 This book offers great insight into the life and times of this famous German blacksmith. 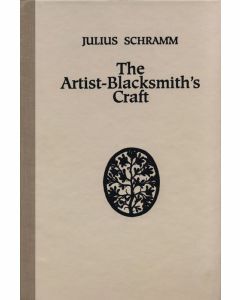 For two years Francis Whitaker was an apprentice in Schramm's shop and was later responsible for having this fascinating story translated. Half a century ago a blacksmith's shop, of the old New England village type, stood in Brattle street, Cambridge, not far far from Longfellow's home. Hundreds of passers-by glanced at the low roof, the grimy smith at his forge, the gazing children at the door, and went their way without giving them a second thought. Not so the poet, Henry Wadsworth Longfellow. He saw love, sorrow, the patience of hope, the strength of duty, all the beauty and tragedy of earnest human loving. The smith and smithy, the sheltering tree, the loitering children, poet and passers-by, alike are gone but it's pictures do not fade and its lessons do not grow old. 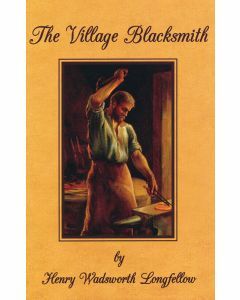 The Village Blacksmith by Henry Wadsworth Longfellow captures this life with its strength and beauty. Town-Country Old Tools Wood, Jack P.
Town & Country OLD TOOLS Locks, Keys & Closures with prices by Jack Wood contains sections on Wood, Axes, Cooper's Tools, Blacksmith Tools, Bits, Draw Knives, Wrenches, Rail Road Track Tools, Saws. Levels, Screwdrives, and Farm Tools. 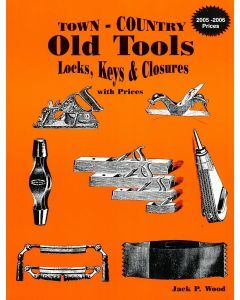 The section on Locks, Keys, and Closures starts after the Old Tools Index. 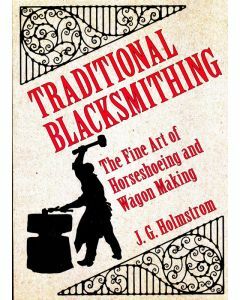 Traditional Blacksmithing Holmstrom, J. G.
Traditional Blacksmithing; The Fine Art of Horseshoeing and Wagon Making, by J.G. 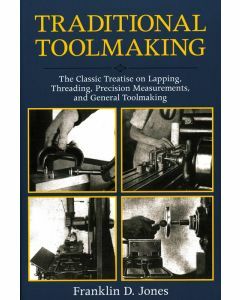 Holmstrom, is perfect for learning the timeless art of blacksmithing, or simpling admiring the beautiful illustrations of the tools of the trade! He was a successful, practicing blacksmith in the early twentieth century. He worked during the day and took notes on his tools and techniques, and over time organized his notes into a book each night at home. Topics covered include: setting up shop, building your own machinery, fixing your tools, and even how to cultivate a good reputation in the community. In Colonial times, forests covered most of North America. Colonists, crafted all kinds of objects from wood. The build wooden houses, fences, wagons, wheels, ships, barrels and furniture from the trees that grew nearby. 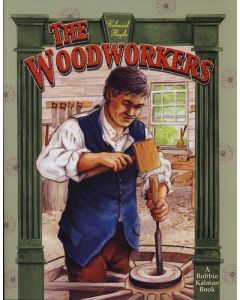 This is a young peoples guide explaining who the woodworkers were and what they made in early America.